Click the REGISTER NOW button below to reserve your birthday party!! Texas Dynasty Birthday Parties are awesome! At our parties the kids have fun climbing, bouncing, flipping, and playing in the party section of our 21,000 sq. foot gymnastics & cheerleading gym! A foam pit, trampolines, mats, gymnastics equipment, and a play gym with a ball pit are all available for the kids to play on. We also have a birthday party room where they will enjoy cake and open presents. 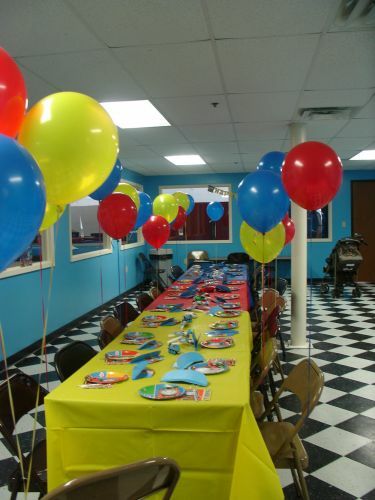 Our birthday parties are HASSLE FREE so you can enjoy every moment of your child's party! The base price for a Texas Dynasty party is $155. One party child is included in the price. At the conclusion of your party, you will be charged an additional $5 per child that participates in the party events. A non-refundable $25 deposit is required at the time of booking to hold your party day and time. If the deposit is not received within a week of the booking, the party time and date will be released back into availability. Each party is 1.5 hours long. One hour is dedicated to play time in the gym, and 30 minutes is dedicated to party time in the party room. All party goods that are to be set up by the Texas Dynasty staff are required to be dropped off by the Wednesday prior to the party date.